Granita by Any Name Would Taste as Sweet Pick a liquid — coffee, champagne, even carrot juice — add sugar and other desired flavorings, and stick in the freezer. 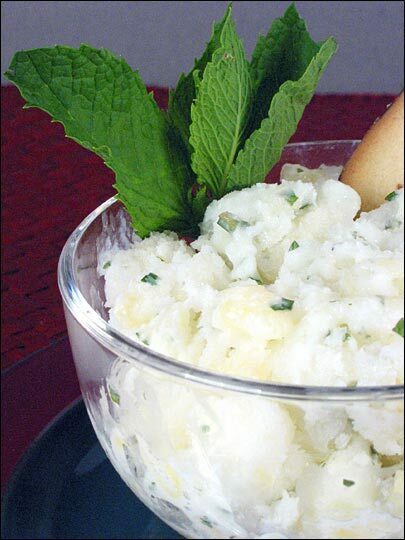 Stir every now and again, and you have granita, a refreshing dessert perfect for summer. In Sicily, coffee granita is frequently served at breakfast with brioche on hot summer days. For breakfast, lunch or dinner, granitas are a light and refreshing dessert. 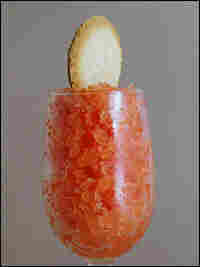 Instructions on how to make granita, plus recipes for coffee granita, sangria granita and more. 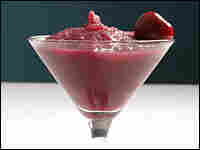 Granitas can be made with liquids such as fruit juice, wine or coffee. After working as editor of various computer magazines, Kevin Weeks is now a personal chef in Knoxville, Tenn. He specializes in cooking with a Mediterranean accent, filling plates with the flavors of Southern Europe and Northern Africa. Weeks also teaches cooking classes and blogs at Seriously Good. During my childhood, one of my father's summer specialties was pineapple-buttermilk sherbet. Put aside thoughts of a creamy, citrus dessert combining a tart tropical taste with the refreshing cool of mountain snow: This was a pan of frozen buttermilk with rock-hard chunks of pineapple embedded in it. It resembled an 8-inch-by-8-inch popsicle more than what we Southerners think of as sherbet — similar to, but lighter than, ice cream and usually citrus flavored. You could break a tooth on my father's sherbet. Yet it was a delicious dessert after grilled steaks and cole slaw on a hot August night. A few summers ago, reading an article about granitas, I thought of Dad's pineapple sherbet. It should have been less like a popsicle and more like granita, with individual crystals of lightly frozen ice. So I dug up his recipe and made it, mixing it frequently to keep the mixture from solidifying into a solid block. I was astounded at how good it was. I could eat it with a spoon instead of an ice pick, and the crystals quickly melted on my tongue, giving up the wonderfully tangy flavors without a fight. Although I'd enjoyed granitas in Italy, I had done so almost mindlessly. To educate myself, I turned to my copy of Food Lover's Companion, and the first thing I learned was that Dad's recipe wasn't truly a granita. A granita is made with liquid such as fruit juice, wine or coffee, mixed with sugar and maybe other flavorings and then frozen. As it freezes, the mixture is agitated, by mixing with a whisk every 30 minutes or so, until you have a slush of ice crystals. Neither was Dad's concoction a sorbet. Sorbets are like granitas in that they usually don't contain dairy products. They typically have more body, and a smoother and less granular texture than granitas. My father's recipe really was a pineapple sherbet. Well maybe. Sherbet seems to be an American invention that is a cross between ice cream and sorbet. But fruit in Dad's mixture is crushed pineapple, not juice or puree. Granitas can be made from any liquid and require careful but sporadic attention while freezing. The mixture is poured into a shallow baking dish and placed in the freezer. Every 20 to 40 minutes, it is stirred up with a whisk and returned to the freezer. Depending on the sugar and alcohol content of the mixture, and the size of the pan, the granita should be ready in about four hours (more sugar and more alcohol slow the process because they lower the mixture's freezing point). 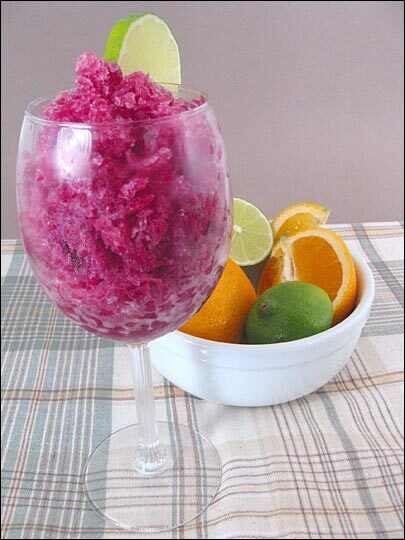 Granitas are elegant desserts, best served in glass containers to show off the colors and ice crystals. They also are a perfect palate cleanser between courses in a formal meal. During a recent restaurant dinner, a small spoonful of pink grapefruit granita after the salad course served as a perfect intermezzo. Granitas are easy to make and infinitely variable. Pick a liquid — pomegranate juice, champagne, even carrot juice — add some sugar and whatever other flavorings seem desirable, and stick it in the freezer. Come back every now and then and give it a stir, and you have granita. Dad's concoction was clearly a strange cross-breed. Nevertheless, I've included the recipe below because whatever it is, like the other recipes, it is easy to make, light and refreshing, and perfect on a hot summer evening. Use a 9-inch-by-13-inch metal or glass pan, if possible. An 8-inch-by-8-inch pan will work, but it takes about twice as long to freeze the same amount of liquid in the smaller pan. The recipe can be increased or decreased easily, but again, the amount of liquid in the pan affects how quickly it freezes. Stir the mixture with a whisk. Do so every 20 minutes for these recipes in a 9-inch-by-13-inch pan, and every 40 minutes in the smaller pan. As the mixture approaches the freezing point, regular attention becomes more important. When the mixture is at the slush point (80 to 90 percent frozen), change from a whisk to a fork for stirring. Use a fork to stir the granita again just before serving. This produces mounds of loose crystals. The ultimate texture is up to you and how often and thoroughly you stir. I think the best granitas have the mouth-feel of snow. Whatever the texture, chill the serving bowls or glasses in the refrigerator to avoid having the granita melt too quickly. Ordinary oranges are fine for this granita, but blood oranges yield a striking, wonderfully colored juice. The lavender adds a light floral note that pairs delightfully with the orange. A cookie adds a nice textural counterpoint to the granita. Bring water and sugar to a boil in a small saucepan over high heat, stirring to dissolve sugar. Remove from heat as soon as it begins to boil and add lavender. Cool to room temperature, then strain into a 9-inch-by-13-inch pan. Add orange juice and liqueur then place in the freezer. Follow directions for freezing and serving in General Methods. 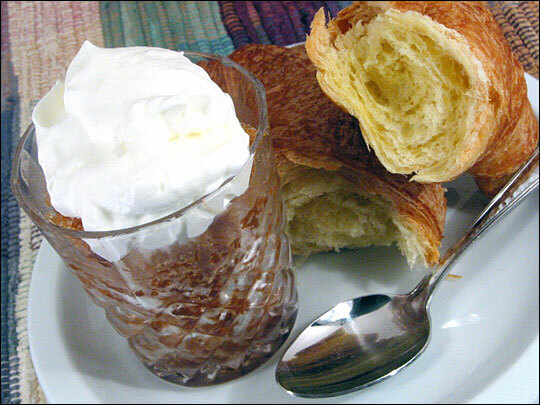 In Sicily, coffee granita is frequently served at breakfast with brioche on hot summer days. It's an excellent and unusual addition to a brunch. Whipped cream sweetened to taste with sugar. Dissolve sugar in hot coffee and cool to room temperature. Pour into a 9-inch-by-13-inch pan and place in the freezer. Follow directions for freezing and serving in General Methods and top with whipped cream. You can make granitas from fruit juices and from wine, so why not both? When making this, don't worry too much about the quality of the wine. Anything drinkable with simple flavors not only works but works better than a complex wine because it stands up to the citrus flavors. My preference is for a basic Chianti. Combine liquids, add sugar and dissolve. Taste and adjust flavor, then refrigerate overnight to meld flavors. Pour into a 9-inch-by-13-inch pan and place in the freezer. Follow directions for freezing and serving in General Methods. Not a true granita, sorbet or sherbet, this is nevertheless a tremendously refreshing summer dessert. Add sugar to buttermilk and stir until dissolved. Stir in mint and pineapple (with juice). Pour into a 9-inch-by-13-inch pan and place in the freezer. Follow directions for freezing and serving in General Methods.